It is often said that “the lota (fish auction market) is ringing” when the siren sounds to start the sale of fish. It is 7:00 am when the auction begins, but from 6:30 a.m. the doors of the Doca Pesca (Fishing Dock) are open to receive the fish caught during the night. In Lagos, the manager Pedro Paulino explained to Mar d’Estórias that this auction only has “first sale”, between 6:30 a.m. and 11:30 a.m. Therefore, “if the fishermen don’t want to lose a day at sea they have to return to land very early“. Paulino adds, while showing the octopus from the box so that buyers see its size, that “the Lagos lota differs from Portimão, Sagres and Olhão where there are second auction in the morning and in the afternoon“. Also the auction system of the Fishing Dock has its guideline, mentions the manager: “When the auction starts the prices are already defined by other auctions. The value comes out for sale with 40% more to give room for the buyer to place an order. And the price is adjusted successively according to the value that is bought “. So how does the Fish auction market work effectively? In broad terms, it is up to the fishermen to unload the fish of the day, divide by size and slide the boxes on the treadmill. Buyers just have to figure out how much they are willing to pay and press the little button on the remote control they have in their hands to get the price on the screen: “The buyers in the seats give the value they want to give for the fish. When they push the button the prices stop and that is the value of the fish. The next box will have an increase of 40% of this value “, explains Pedro Paulino. Fish auction market – photo by Fototeca de LagosThe life of a fisherman is not just to get up early, tame the moods of the high seas and untangle the nets to have everything ready for the next trip to the sea. There is an expression among fishermen “God wants you to buy a boat,” which may seem like a blessing but is used as a plague. In reality, whoever buys a boat for fishing ends up “buying” concerns related to the maintenance of the boat and the will of the sea. 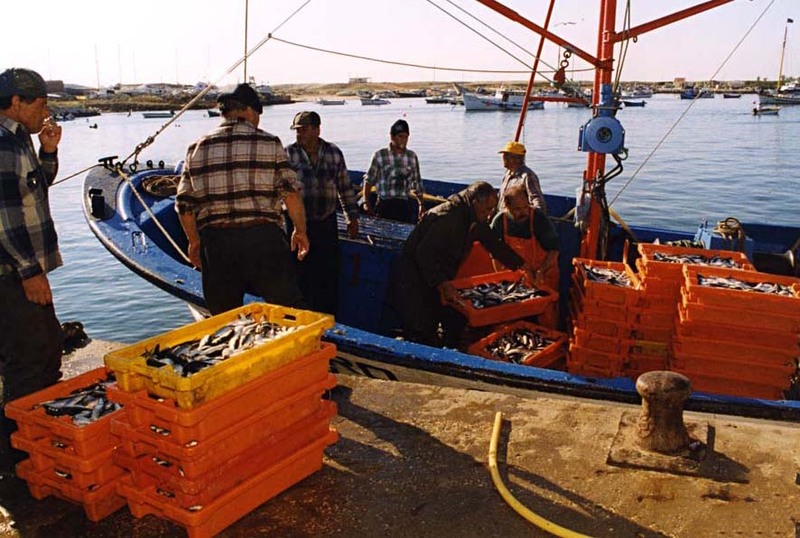 The fisherman respects the sea and respects the rules of selling the fish at auction to guarantee the family’s livelihood: “Last year, by now the red mullets were € 15, today I sold them at € 9“, mentions one of the fishermen who were selling at the auction. The truth is that in spite of everything the lota is a facilitator for these fishermen. Somehow this is defined with rules and procedures so that the gap between the actors is reduced and simpler for both fishermen and those who want the freshest fish.